The Sioux Falls Regional Airport offers many hotels on the territory so as near the airport. All prices for the room are indicated for September 2018. 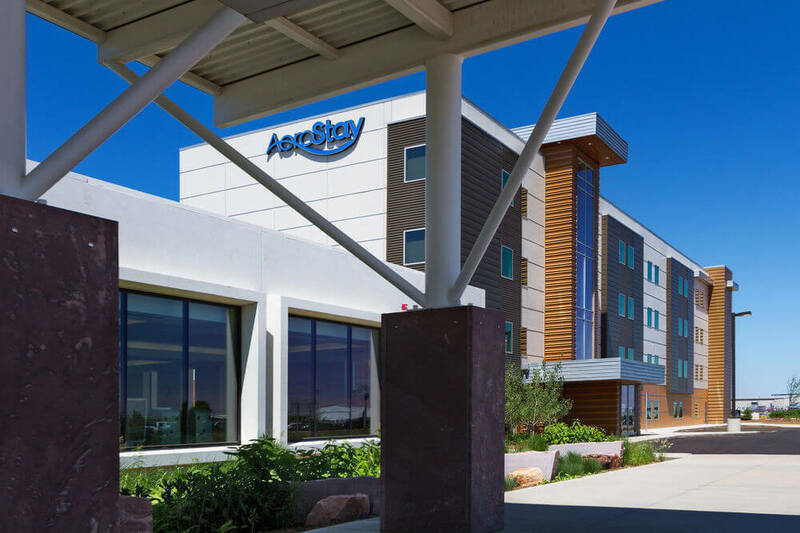 AeroStay Hotel is the only hotel located right on the territory of the airport and is just 15-20 minutes away from the Sioux Falls downtown. It provides its guests with 76 nicely-equipped rooms. The hotel allows using the long-term parking near in front of the airport terminal for just $8 fee per day. The hotel offers free Wi-Fi on the territory, rooms accessible for disabled guests, cribs available for rent, outdoor terrace, non-smoking rooms, fitness center, small business center, and meeting rooms available for holding presentations and conferences, pets are allowed in the hotel as well. The price per one-night stay starts from $88.40; however, the 10% tax is not included in the price. 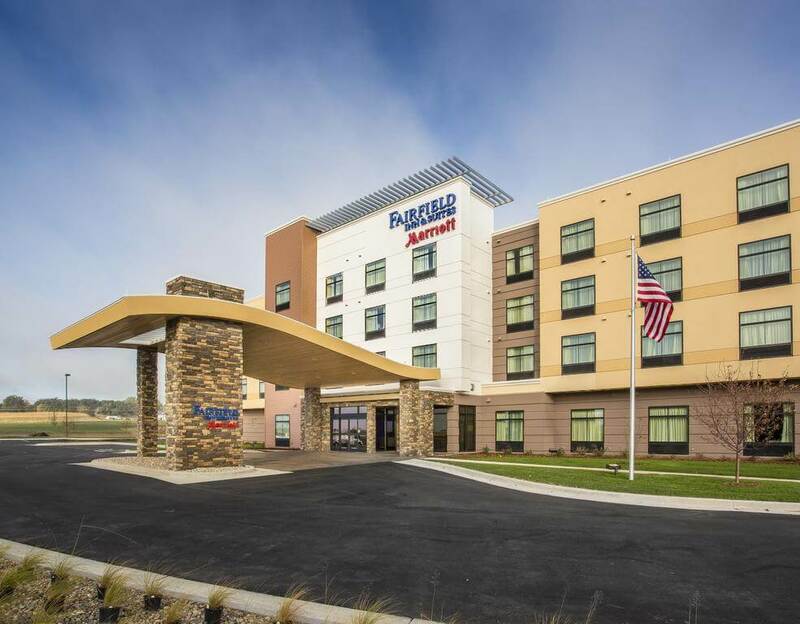 Fairfield Inn & Suites By Marriott Sioux Falls Airport located at 4035 Bobhalla Drive, Sioux Falls, SD 57107, USA is just 1.6 kilometers away from the Sioux Falls Regional Airport, which is just in a 10-minute drive. Free Wi-Fi, tea and coffee facilities, a refrigerator, microwave, flat-screen TV are provided in every room. A free airport shuttle service will get passengers directly from the airport to the hotel. Spa and fitness centers are available as well so that the guests of the hotel could swim in the indoor swimming pool or enjoy the hot tub. The price per one-night stay starts from $99; the breakfast is already included in the price. 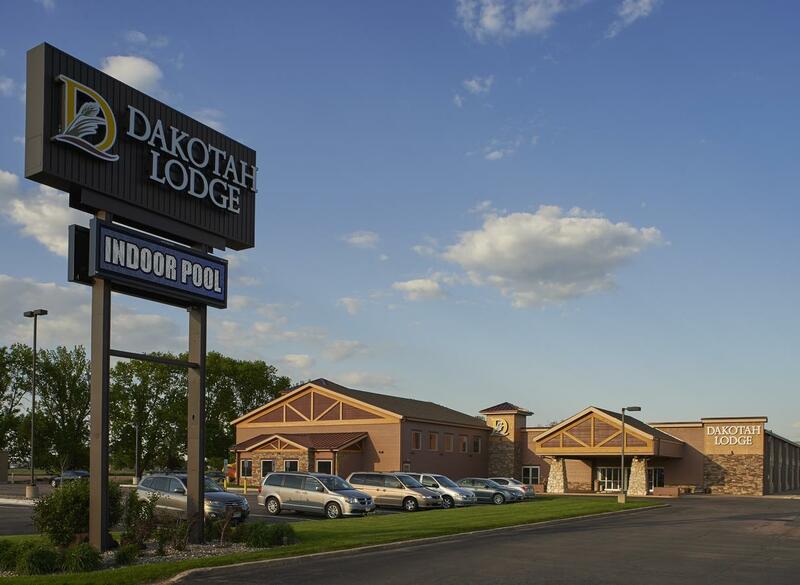 Dakotah Lodge located at 3200 West Russell, Sioux Falls, SD 57107, USA is just 2.6 kilometers away from the Sioux Falls Regional Airport, which is just in a 10-minute drive. Located in 6.4 kilometers away from the Great Plains Zoo-Delbridge Museum, the hotel offers free Wi-Fi, tea and coffee facilities, hairdryer, refrigerator, microwave in every room. There are a swimming pool and a free parking area located on the territory of the hotel. A free airport shuttle service will get passengers directly from the airport to the hotel. The hotel allows its guests to bring pets with them. The price per one-night stay starts from $75.20; the breakfast is already included in the price. 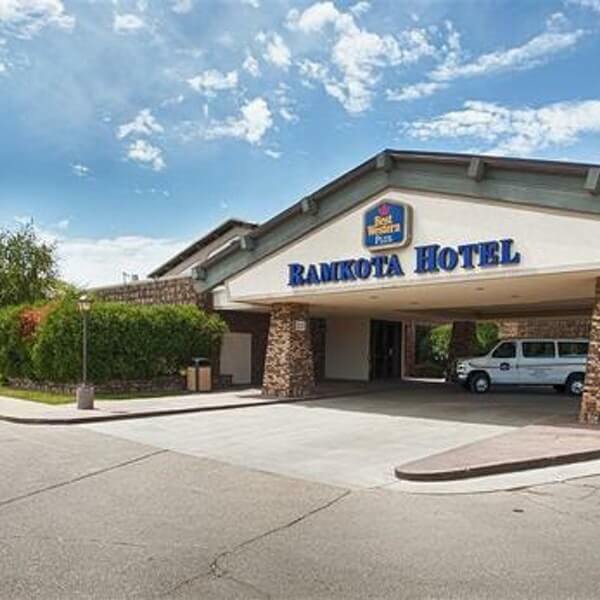 Best Western Plus Ramkota Hotel located at 3200 West Maple Street, Sioux Falls, SD 57107, USA is just 2.5 kilometers away from the Sioux Falls Regional Airport, which is just in a 10-minute drive. It is in just a 15-minute drive from the city center and 45 minutes away from the Royal River Casino. Large swimming pool, as well as the business center, are available for guests' usage. A free airport shuttle service will get passengers directly from the airport to the hotel. The hotel allows its guests to bring pets with them. The price per one-night stay starts from $93.49; however, the breakfast is not included in the price and costs around $10. 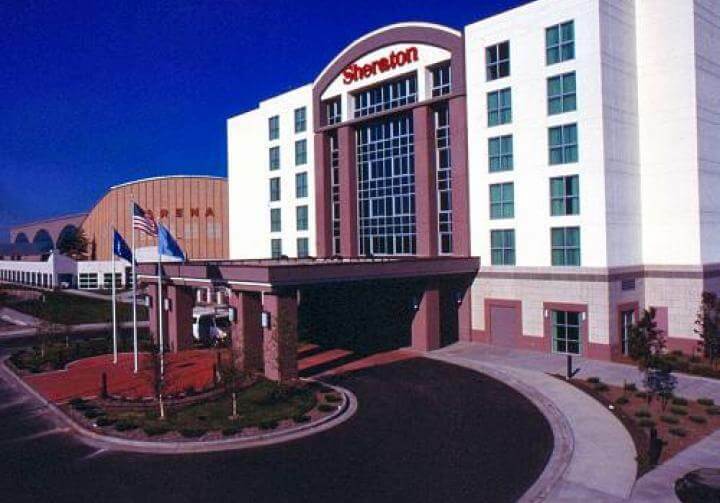 Sheraton Sioux Falls & Convention Center located at 1211 West Avenue North, Sioux Falls, SD 57104, USA is just 1.6 kilometers away from the Sioux Falls Regional Airport, which is just in a 10-minute drive. A free airport shuttle service will get passengers directly from the airport to the hotel. Well-equipped gym, as well as the hot tub, are available to provide the best experience available. The hotel in every room provides free Wi-Fi, tea and coffee facilities, hairdryer, refrigerator, microwave. The hotel allows its guests to bring pets with them. The price per one-night stay starts from $125; however, the breakfast is not included in the price and costs around $10.